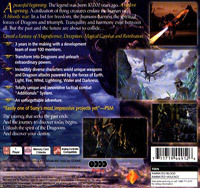 Players initially take the role of Dart, a young hero on his quest to rescue Shana, his oldest friend. 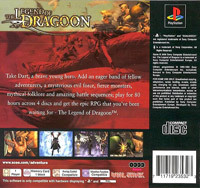 During his travels Dart becomes a fierce warrior, perfecting multiple attacks during skirmishes with enemies. 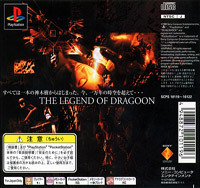 Many friends and foes are waiting to be discovered as Dart searches for clues and items to help him fulfil his destiny. 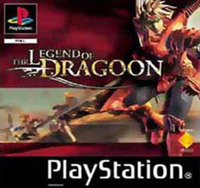 "The days when a player just inputs a command and stares at the screen are over. 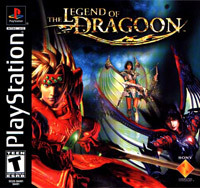 In Legend of Dragoon you feel as if you're actually fighting�" said Hasabe Hiroyuki, Game Director. 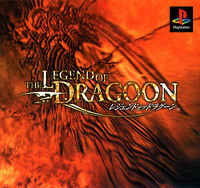 "We wanted Legend of Dragoon to be the highest quality - the story, the fighting system, the balance of the game, the graphics, the sound - everything, we refused to compromise quality. Please enjoy our gift to you."